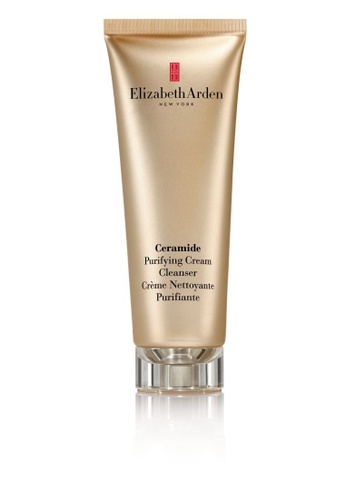 - Elizabeth Arden Ceramide Purifying Cream Cleanser is creamy cleanser gently dissolve your makeup and other impurities while our Ceramide 3 complex calms and soothes your skin. - Sure to become a favorite part of your daily skin care ritual, it leaves your skin feeling clean and soft. - Fragrance-free. Clinically, dermatologist- and allergy-tested. Can't find Elizabeth Arden Ceramide Purifying Cream Cleanser in your size?